I have been looking through many blogs and have seem some stunning cards. 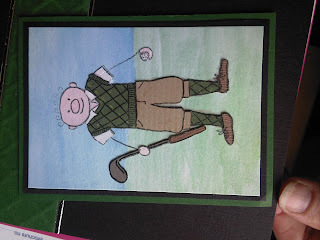 Recently came across the easel cards which i just adore. I decided to have a go myself and here is my effort. I made it for the patients at work as their Christmas card from me. 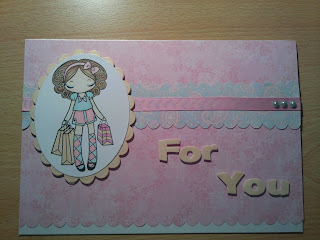 For this card I used a Pink Cat Studio digi stamp. I just LOVE them they are so cute and easy to use. I coloured him in with my trusty PM's. Nestabilities used for the ovals and my xcut punch for the border. Papers are from my stash i have had for a few years and I cannot for the life of me remember where I got them. Also ribbon from my stash. 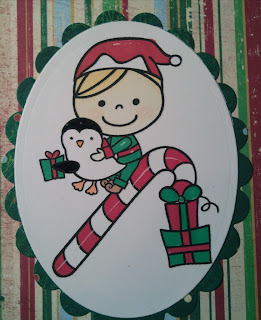 Christmas stamp is a super oldie too and used my computer to print out "michelle" sentiment at bottom. Wooden stars are from my local craft shop and green gems from Lakeland many many years ago. I know it has been absolutely AGES since I last posted. Have to say that I had lost my MOJO for quite some time. During the summer months I spent lots of time with ma boys playing outside and neglected my craft goodies. I fair few things have happened since I last posted. 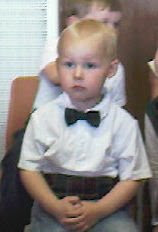 My eldest Lucas started school which he seems to love, have joined the PTA so oficially a WIFIE . 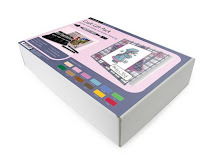 I have discovered I LOVE scrapbooking, A craft shop has opened in my tiny village which is just fantastic as I go there for my scrapbook classes. Went to the SECC in October and spent a penny or three. 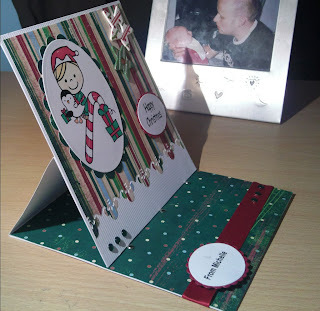 I have also re-discoved my loce for card making. Have made a few of cards this past week. One for Lucas's school teacher for Christmas and another for my friends wee boy who is poorly with the flu. Also made one for someone at work Only have two picsd as I forgot to take one of the get well card. 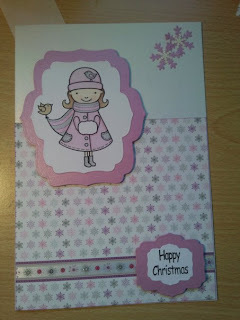 I made this card using a Digi Stamp from Pink Cat Studio, they have loads of cute images that are just fantastic. Think they had a lot to do with getting my mojo back. Coloured her in with my favorite colouring medium, PM's. Paper, stamp and ribbon from my stash. Nestabilities labels 5 also used here. And this is a card I have made for a girl at work who ahs just started making cards. She started making her wedding invites and has become hooked. I have decided to make up a wee goodie pack to start her off. 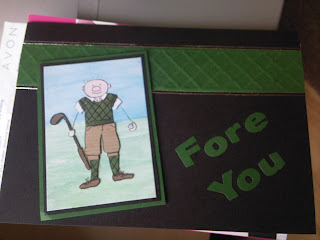 This is the card that i made to go with it. 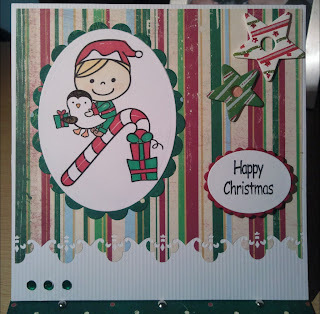 I used Miss Anya stamp, coloured with trusty PM's . Papers are from Papermania and the words are made using my sizzix alphabet. Will be giving it to het tomorrow at work and hope she likes the goodie pack and the card. AT last just getting peace and quiet to sit and type a post. Had a busy weekend. I was working a late shift on Saturday but have to say it was a good shift. quite enjoy Saturday's at work. Hubby's Sister and her hubby were up from Loch Lommond on Saturday so they were there when I got home. Only stayed over for one night but it was fun non the less . Had a couple of games of Cleudo, not played it in years most of the fun was figuring out what we were supposed to be going. Wine and board games don't tend to mix. On Sunday as it's was Father's day Steven had the choice so we headed for Castle Fraser as there was a Vintage Steam Rally on. Have to say had great fun and the boys loved it. I enjoyed looking round all the fabby stalls. Met a lovely lady who made cards. I forgot to ask her name but her cards were lovely she even had a few Miss Anya ones which I loved. It was such a beautiful day we had a picnic there too and enjoyed the sunshine. The boys were clarted (covered) in suncream. (Note to self... make sure to get covered too) I have a touch of sun burn on my chest. Shocking really as I am always telling people off for sunburn and i end up doing it myself. TISK TISK. The stamp if from Dimension Fourth and I paper pieced the wee character. 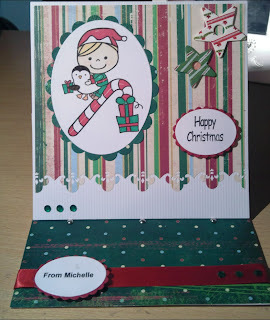 I used one of The Glitter Girls border bars for the top and one of my Sizzix alphabets for the wording . Very simple card but he loved it. Well he said he did Sorry could figure out how to delete a pic once it was UL as I forgot to rotate it 1st. Hope you don't get a sore neck looking at it . Create 4 Fun are celebrating 10,000 visitors with a fantastic blog candy. 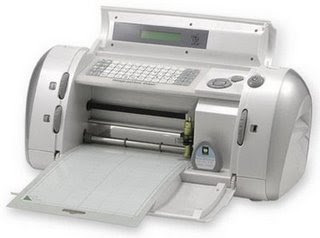 A brand new CRICUT. get yourselves over there and have a lookie at their wonderful blog. I know it's not much but I want someone to get the good of this. 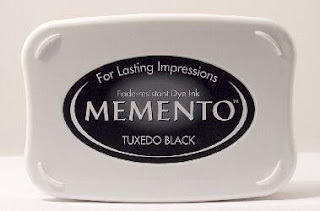 I have ended up buying TWO Memento Tuxedo Black pads. And knowing how hard they are to get a hold of I thought i would give It away to a fellow craft addict. As it's just a mico candy this will only stay open until Sunday 21st June 17.00 GMT. All you have to do it post a comment and spread the word on your blog. This weeks challenge at Passion for Promarkers was to use Berry Red and Royal Blue. As today is my eldests nephew's birthday I decided to make his card using these colours. I used a stamp i bought from Dimention Fourth when I was at the SECC back in October. It's a fantastic wee stamp and great for boys cards. I coloured the outfit with Berry Red and Royal blue and layering where the shadows landed. Skin was Ivory, blush and a dusky pink for cheeks, Hair I used sandstone and a touch of cinnamon for shadows. Also had a wee bit of pastel blue for parts of shoe and skateboard. 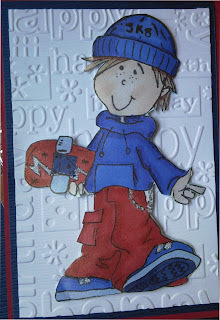 The skater boy was matted onto a piece of card I had run through my big shot using the Happy Birthday cuttlebug embossing folder then layered onto red and blue card. Finally placed onto a silver mirror card mat which was also embossed using the same folder. Using my trusty big shot again I cut out my nephews name using one of my alphabet bars. They spell his name with only one "T". Saves me on letters LOL I then finished off the card with a few holographic peel off stars. 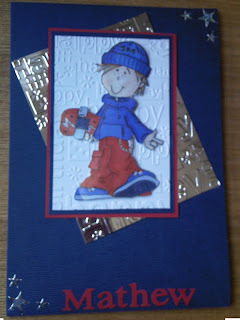 Thank you for looking and I hope you like the card, Mathew certainly did, it was the only one with his name on it.